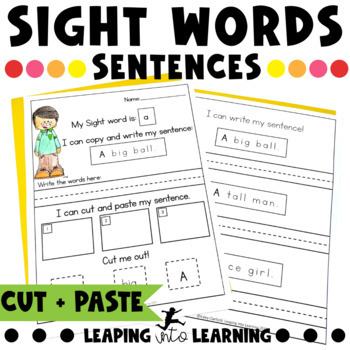 Sight words are words that are frequently used in the English language. These words are easily recognized in the English language and when learned they help develop strong reading fluency and literacy skills. This resource contains the first 40 words of the Dolch List. Each word has 2 pages of follow-up activities. 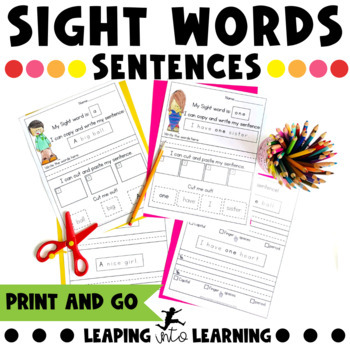 As children learn the sight words, they’re able to put them in context, helping them store the new words in their long term memory. The activities get more difficult as the resource go on. This resource also has a cutting and pasting component, perfect for fine motor development and hand-eye coordination.